Half price for almost everything in the menswear section! 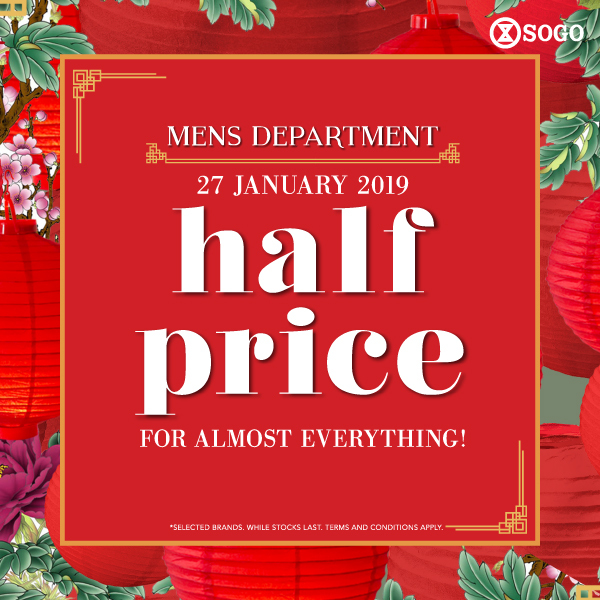 Valid on Saturday, 27th January 2019 at SOGO Central Park Mall. #visitSOGO and treat yourself something nice!